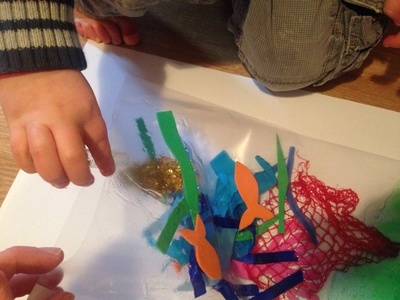 Create a fun squidgy bag aquarium and fill with interesting sea creatures. Have fun pressing and squeezing the glittery gel around your aquarium. Water resistant items to cut up and put in your aquarium - e.g. foam craft sheets, ribbon, net, sequins, water resistant fabric, plastic packaging, shells, sand. 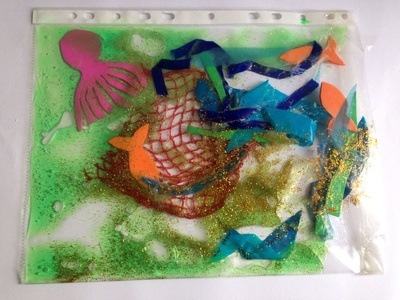 Make some sea creatures to go in your aquarium. 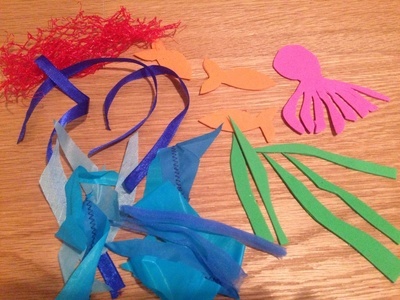 We cut out fish and an octopus from foam craft sheet. Cut up other blue and green pieces from water resistant materials - we used ribbon, pieces of ripstop fabric, foam craft sheet and netting. Squeeze shower gel into your plastic pocket folder or zip lock bag. 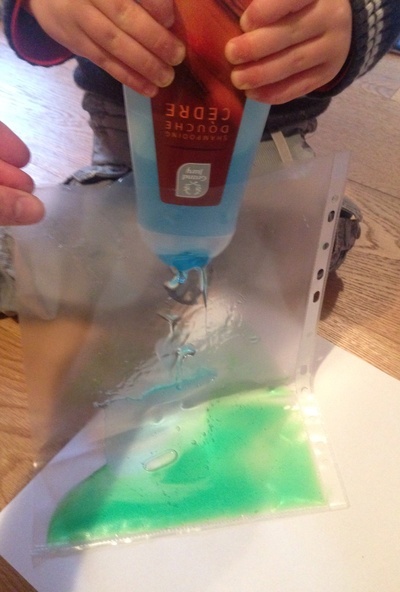 We used blue and green gel to mix together. 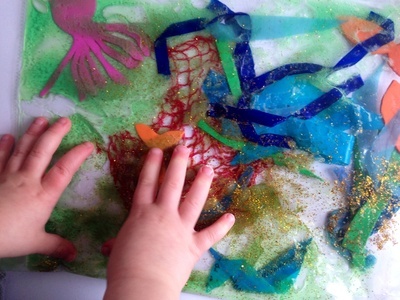 Shake some glitter into the gel and add your sea creatures and other sea items. Tape up the open end of the bag securely to prevent any gel escaping. Your squidgy gel aquarium bag is now ready to play with. 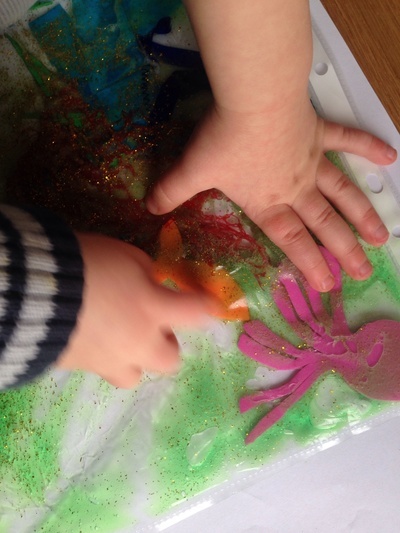 Have fun pressing the gel around the bag and moving the sea creatures around in the glittery gel.